During the past 6 years, research interests have centered on familial hypercholesterolemia (FH), atherosclerosis, cardiovascular disease (CVD) and kidney injury. Throughout the course of Pharmacy Degree (PharmD) and Master’s Degree, worked on FH which is a very common condition in Lebanon due to the high incidence of consanguinity in certain areas. Being a part of French and a Lebanese research team who are the first to discover that PCSK9 is the third gene responsible for the heterozygote form of FH. This was a major scientific breakthrough because PCSK9 is now a major therapeutical target as many pharmacological treatments have been developed to target this protein and lower cholesterol levels in the blood to decrease the occurrence of cardiovascular events. PCSK9 inhibitors are currently included in the European Society of Cardiology guidelines and are given to patients with FH and those with a severe hypercholesterolemia and who do not respond to statin therapy. During the past 3 years of research project aiming to report new mutations causing FH in Lebanon and the main goal was to find new genes involved in the lipid metabolism that could turn out to be therapeutical targets as it was the case for PCSK9. 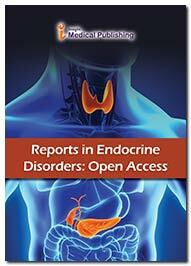 Individuals with a family history of severe dyslipidemia were recruited with collaboration with endocrinologists. DNA was then sequenced to find novel mutations in well-known genes involved in familial hypercholesterolemia and to unravel new genes that might be involved in the cholesterol pathway. During PhD at Ulster University in Northern Ireland, working in the field of Stratified Medicine and its application in CVD. CVD is the leading cause of mortality and morbidity worldwide. CVD incidence is much higher in Northern Ireland compared to the rest of the UK. To estimate an individual’s cardiovascular risk, clinicians currently rely on using risk scores (such as the SCORE system recommended by the European Society of Cardiology). These risk scores are based on the most common CVD risk factors such as blood pressure and cholesterol levels. However, it is becoming more evident that a multitude of risk factors contribute to CVD and they need to be assessed simultaneously in order to establish an individual’s cardiovascular risk and subsequently implement a management strategy. Therefore, risk scores have been intensively criticized. One possible way to improve the current CVD risk scores is by using biomarkers. During the course of PhD involved in conducting a cross sectional feasibility study at Altnagelvin hospital in Northern Ireland to investigate potential biomarkers involved in inflammation and cellular senescence in patients at risk of major adverse cardiovascular events (MACE). The aim was to identify and develop biomarkers panels that can be translated into clinical practice and added to the currently used risk assessment tools to help clinicians decide on the optimal way to manage their patients and prevent the occurrence of MACE. One of the main pathways investigated was the role of tumor necrosis factor alpha pathway in CVD and in cardiovascular complications. Potential biomarker panels were proposed for CVD patients with different comorbidities and medical history. Panels were identified for CVD patients at risk of primary and secondary cardiovascular events and those at risk of diabetes, heart failure and kidney injury. Some of these highlighted biomarkers are novel and demonstrate a major role in the pathophysiology of CVD and in the lipid metabolism and could be further investigated as potential therapeutical targets. Many experimental methods are being used to screen for the optimal biomarkers such as FACS, ELISA, western blot, real time PCR, sequencing, proximity extension assay (PEA) technology developed by Olink (Uppsala, Sweden) as well as the electrochemiluminescence technology (Meso Scale Discovery) and multiplex protein and gene arrays (Randox). During PhD, we also involved in the investigation of endothelial dysfunction in CVD patients. Endothelial dysfunction has a major role in the initiation and complications of atherosclerosis, which is the major cause of coronary artery disease (CAD), one of the major forms of CVD. We have investigated a particular population of endothelial cells responsible of repair and healing in order to better understand its role in patients after an acute myocardial infarction. In addition, we have investigated different types of inflammatory markers involved in osteoarthritis as well as their possible role in identifying patients with severe osteoarthristis. During current post doc, position, we still working in the area of stratified medicine and is based in the Northern Ireland center for stratified medicine (C-TRIC) which is part of the Biomedical Sciences department at Ulster University. The current project involved in the area of acute kidney injury (AKI). AKI is defined as sudden kidney damage or kidney failure within few hours or few weeks and could be due to pre-renal causes (such as a heart attack or a heart failure) intra-renal causes (such as glomerulonephritis or the use of nephrotoxic drugs) or post-renal causes (such as a blockage to the urinary tract). The current diagnosis of acute kidney injury relies on the measurement of serum creatinine as well as urine output. However, these measurements are not accurate and do not reflect the extent of the kidney damage or when it has started. Creatine measurement is affected by muscle mass and body mass index and is only present in the blood after the kidney damage has already taken place. In addition, a larger number of patients develop complications following an AKI in terms of progression towards chronic kidney disease and the need for renal replacement therapy. Therefore, there is a great need to improve the current diagnosis of AKI and this could possibly be done by using biomarkers. Potential biomarkers could be used to give an idea about the extent of the kidney damage as well as the progression towards healing or fibrosis. It will help clinicians identify patients at higher risk of complications after an AKI who need severe management. A current clinical study is being conducted in order to identify tools to better identify AKI and its possible complications.